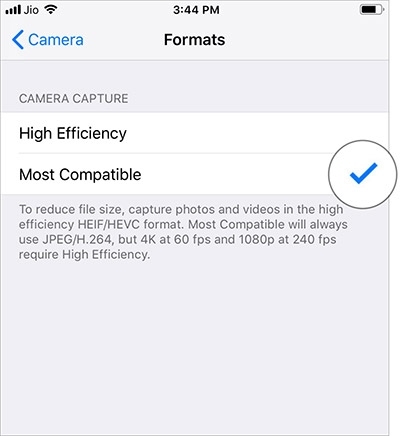 Apple iPhones now default to saving camera images in the new HEIC format to conserve space. However, HEIC is not yet widely supported and is NOT recommended for use in school assignments. Students should stick with the compatible JPG, GIF, and PNG formats instead. Tap Most Compatible under Camera Capture.